Whether you are a boy or girl, man or woman, Autobot or Decepticon, there would have been a point where you were exposed to the world wide phenomenon of The Transformers. Being a child of the 80s, The Transformers was a staple of my TV schedule and inspired me in many ways and after movies (some very crap), a bunch of animated series’, toys, games and modern incarnations, The Transformers have changed visually in many vibrant and innovative ways. There are a bunch of things we all should know, the warm guys (Autobots) are primarily blue, yellow and red land vehicles and the cool guys (Decepticons) are green, purple and grey and are air craft and more aggressive manifestations (guns and wild beats). But has anybody taken the time to look at the history behind the whole visual evolution of these doyens of pop culture? Generation 1, originally known as The Transformers, is the original Transformers franchise which took the United States by storm in 1984. Four seasons aired between 1984 and 1987 but The Transformers movie of 86 which was in continuity with the cartoon series, occurring 20 years after the end of Season 2 (in the then-futuristic year of 2005) provided the single biggest turning point for the series. This tragic and controversial milestone was the death of the franchise’s greatest character – Optimus Prime (despite this, the film was awesome and had a rocking soundtrack). Transformers: The Headmasters was the first Japanese-exclusive Transformers franchise, released in 1987. Following on from Fight! Super Robot Lifeform Transformers 2010 in 1986, The Headmasters began the period of distinction between American and Japanese products that would continue throughout the rest of Generation 1. Fight! 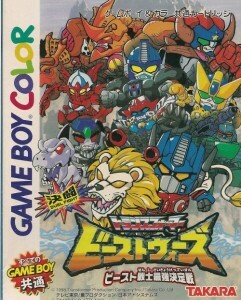 Super Robot Lifeform Transformers also spawned Victory and Zone franchises in Japan. Transformers: Generation 2 brought our robots in disguise into the 90s and consisted only of The Transformers cartoon episodes rebroadcast with a smattering of overlaid CGI animation. The most extensive change was the title sequence, which had been entirely replaced with CGI. This was the only change in content; all the other CGI additions were related to the ‘Cybernet Space Cube,’ which only overlaid intrusive, noisy graphics, most often during cuts and scene transitions. Premiering on April 22, 1996 Beast Wars: Transformers became a Daytime Emmy award-winning incarnation which saw the Transformers’ most radical change visually. Not only was the animation completely CGI but the characters as the title suggests, where actually animals. This opened up many new opportunities visually and story wise. Beast Wars is now considered by many to be among the finest examples of Transformers storytelling. Several video games were released to support the popularity. Beast Wars II: Super Lifeform Transformers closely followed Beast Wars. The Japanese-exclusive spin-off series was broadcast from April 1, 1998, to January 20, 1999, between Beast Wars (American season 1) and Beast Wars Metals (American seasons 2 and 3). Beast Wars Neo: Super Lifeform Transformers was the second Japanese-only Beast Wars franchise. The Maximals have organic beast modes of mostly present day animals (with the exception of the Mammoth Big Convoy), while the Predacons featured mainly extinct/prehistoric animals such as dinosaurs. Beast Machines followed the successful Beast Wars series. Running from 1999 to 2000 and featured a distinctive visual style in both its toys and its television series. The cartoon was darker and grittier than its more light-hearted predecessor, and it introduced controversial new elements such as Cybertron’s organic core and a more spiritual approach to transformation. Animation clearly progressed in leaps and bounds during the 90s and this impacted how The Transformers were represented in a major way. The visual journey will continue … here.